Hollywood lies! The scriptwriters for "The West Wing" make things up. No, I'm not talking about legitimate fabrications where, for example, the sponsors call for our newly elected president to drink from a can of Coke or jerk a Kleenex from its box. We know that the Man could do that ... even if he's been a Pepsi guy since he was a kid AND even if he never allows anything but silk to touch his body ... the point is that he could do it. No, I'm talking about real lies ... pretend facts ... things that turn our children into 'doubters of the tube'. "Get on with it, Alf." "I understand the TV President likes the Michener suite. We will have to find an old typewriter to place in the suite when he gets here." That was a very nice way of putting it: apparently no one in the TV President's inner circle had bothered to ring up The Oriental's front desk to ask if an old Underwood really was sitting on a desk somewhere in the Michener suite. Or (and, I think I can safely speculate on this), did the scriptwriters even worry over whether Mr. Michener even used a typewriter while staying at The Oriental?
" ... maybe we did not have a Business Center when Michener was here and he was doing his own typing. I am quite sure you would agree with me that now with the charming Ladies in the Business Center, he would have had his texts typed!" 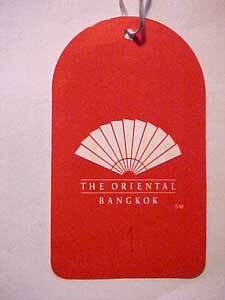 Not long ago, someone at The Oriental Hotel took to writing the philosophy of life on the hotel's luggage tags. This Herculean task was made workable by two things: (1) the size of the luggage tags themselves, and (2) the wisdom on the part of the 'creator' that all of life could not be squeezed onto just one tag. Front Office permission was sought and given. And, sometime last year ... or, the year before ... "A Human Life" was published in a five-volume ('five tags') production run. Volume 2: "The Perfect Life"
Volume 3: "The Oriental Mind"
Volume 4: "A Person of Wisdom"
Volume 5: "Truth of Life"
1 Dear reader, this is what millions of Americans actually heard the new TV Thai Ambassador say to our TV President: "Your own James Michener wrote many of his books at The Oriental. And one of his typewriters remains in the suite they named for him." Oh my God! Does this mean that all those highly paid scriptwriters didn't do their homework? That the 'typewriter' in the Mitchener suite is a Hollywood fiction? Perhaps I can find an old Underwood (favored by authors due to its raw mass - difficult to sweep off the desk when enraged by "writer's cramp") here in Florida. Mitchener spent time here in the Keys....no, I guess it was Hemingway who did that. Would you mind if I built your reply into my journal? I mean, if anyone would know if the suite rents out with the Michener typewriter in it...you would know. Anyway, common sense suggests that the Michener quarters would not come with the machine in it...all set up and ready to type. It's one thing to have a photo of the man....quite another to have his stuff around the place. Anyway, thanks for reading me. Both Watcharee and I miss the ease of life in The Oriental. We'll be back in about three weeks. 3 As expected, the tags are numbered from 1 to 5. Dear reader, much of my 'fun' library is back in Bangkok ... NEWNES ... Wescott's Saints ... How to Survive a Dumpster Jump ... the Onion's Morgue ... all of them. And, those BKK 'dailies' that I have come to rely upon ... their wonderful front-page blend of not-nice-monks, maimed elephants, mall 'jumpers', Burmese border disputes and missing vaginas ... well, they're just not here. Ace shutterbug Somachi's darkroom-dot-encrusted gore can't be found anywhere near Fort Lauderdale. "So, so, so ... we're in a hurry ... what is all this?" "Yes, get on with the stuff at the top of the page. And, what's peonage? And, who are those other people?" Right! Well, they all share (or, did share) the attention of nine US congressmen.1 These men (along with their predecessors and successors) were charged2 with stripping the camouflage from 'people' like the farmers over at Briehl's place or the teens up at the art club. "Start with the farmers ... the ones on the land over near Walkill, New York!" OK. Yes, these people first came to the attention of the congressmen back in 1955. It was whispered that ... well, let me just tell you what they heard ... I don't want to allow my own feelings to shade what you read. "The Communist management of six camps in New York State and another in California was exposed by committee investigations and hearings. Listed among these is Briehl's Farm 'advertised in the Daily Worker as a resort center for both youth and adults', which has also been used by the Communist Party as a training school for party leaders." 1 Walter of Pennsylvania, Moulder of Missouri, Doyle of California, Willis of Louisiana, Tuck of Virginia, Scherer of Ohio, Johansen of Michigan, Bruce of Indiana and Schadeberg of Wisconsin. Though the decades have not been kind to any of them, the Co-counsel, John C. Walsh, managed to make a nice career out of this little start. However, his boss at this job, Chief-Counsel, Alfred M. Nittle, forever remained an obscure figure. 2 Public Law 601, 79th Congress ; 60 Stat. 812. (q) (1) Committee on Un-American Activities. 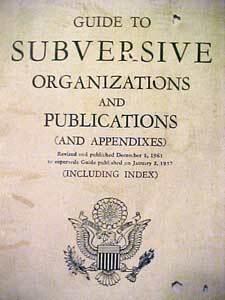 (2) The Committee on Un-American Activities, as a whole or by subcommittee, is authorized to make from time to time investigations of (i) the extent, character, and objects of un-American propaganda activities in the United States, (ii) the diffusion within the United States of subversive and un-American propaganda that is instigated from foreign countries or of a domestic origin and attacks the principle of the form of government as guaranteed by our Constitution, and (iii) all other questions in relation thereto that would aid Congress in any necessary remedial legislation. [Quiet mumbling]: "Apparently, the man has nothing better to do." [Return mumbling]: "Yes, blowing the dust off old books ... symbolic, do you think ...?" [The other one, playing the obsequious student ... and much too toady for words]: "Professor, does this mean that if A conveys to B for life, remainder to the first son of B who reaches 21, then B dies leaving a son aged 16, the contingent remainder is destroyed? A's reversion become possessory? And when the son reaches 21, he still takes nothing?" [First one, again playing the part]: "Yes. The justification given for this rule was that the feudal system could not tolerate an 'abeyance of the seisin'. And, in your case, the seisin would be in abeyance for the five years between B's death and his son's majority." [Alf]: Oh, shut up! I was just thumbing through the thing." "As usual, incorrect .....first computer was UK's Colossus used for code-breaking at Bletchley Park during WW2." "I thought the Bletchley Park one was a 'wind-up' model ... with gears, and cams, and pulleys ... though, perhaps, with no steam." "It was a digital computer O.K, using valves but everyone who worked at B.P. was sworn to secrecy so when some Yanks started to blab about their new electronic computer we remained silence. Same with Encryption most of the advanced work was done at G.C.H.Q." But, then Andy said something puzzling. Puzzling to me anyway. Again, help is needed. "See if you can get Anna K to pose for CB4 [g]." He left it at that. 1 Curious as to how Hallmark was able to pack the power of the ENIAC into an envelope, I bought "Save the Last Dance for Me". Cleverly sandwiched in the cover, one tiny speaker, three 'watch' batteries and a little black box came to life every time I opened the page. Soon tiring of the tune, I attacked the little innards with common kitchen tools. 2 I am all in favor of this type of card. As it contains a minimum amount of text, the recipient (who you probably have to be around when he or she reads it) can get through the wording in a mercifully short time. But, the very best part is that the manufacturer has set the pace of the little sound track ... you don't have to suffer through those weepy reader-pauses that are unfortunately generated by overly sentimental written words. You read this and you think, "He must have done it." "An FBI search of his home turned up very little to tie him to the explosion ... until the sweep team found in his garage a manual on how to manufacture nitroglycerine. 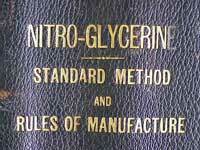 The professionally drafted and highly detailed guide, NITRO-GLYCERIN, STANDARD METHOD AND RULES OF MANUFACTURE ... blah ... blah ... blah ... "
Nitration of R-NITROGLYCERIN, D-NITROGLYCERIN and H-NITROGLYCERIN. Separation of Nitroglycerin from Waste Acid. Care of Nitrator Agitator Paddles. And, then there were the blueprints for the "Schmid Continuous Nitroglycerine Processing Line". 1 Of course, today, nitroglycerine is about as relevant in the world of international terrorism as is the typewriter in Microsoft's front office. Perhaps useful when there is nothing else about ... and, only marginally better than 'smokeless' powder (or, chalk on a sidewalk, to tilt the 'writing' analogy a bit further). Still, its employment for anything serious would surely prompt seas of derisive laughter within the ranks of the competition. However, like with the railroad buff's never dying attraction to steam, the stuff can sometimes be legitimately 'dusted off' and 'set off' for old time's sake. Perhaps the target is a building or monument of great historic merit ... plastic would be 'gauche' in such a case ... in this situation the event would quite rightly want an old fashion 'powder'. 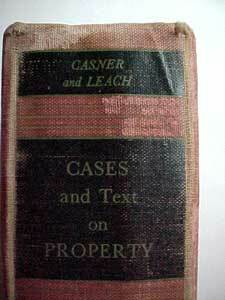 By the way, this manual was compiled on December 1, 1917 (Revised 3/9/18). And, its author was the legendary "Pop" Frome of the ATLAS POWDER COMPANY & the GIANT POWDER COMP, CON. My father worked under him soon after he graduated from the University of Wisconsin (Madison) in '14, with a degree in chemical engineering. Those were the comparatively halcyon days in explosive making! 2 In the past my web site has been 'corrected' by Middle East readers for mixing up Allah with real people. Here, dear reader, my bracketed words are only meant to emphasize that the Koran makes for a good read anytime. 3 The last man out of the building has to do something very important to the "emergency air agitator valve rod" ... and fast! "Three linearly sequenced 12,000 gauss neodymium rare earth magnets are aligned with the blades' edges." Anyway, Alf as a younger man would have glanced at it in the shop window and smiled; and perhaps even pointed it out to another if he was not alone. Yesterday, he bought it. To be fair to him, this was not something he saw in some 'New Age' shop ... not at all ... it was showcased in The Sharper Image. "He? Him? Who's talking here?" OK, me! Anything I've ever bought from The Sharper Image really works. Sure, the thing may not be useful to everyone ... [e.g., clock refreshing with every satellite pass is of interest to few] ... but, rarely do the things not do what they promise to do. And, I assume, that this is doubly so in the case of a "Sharper Image Design". "Yes, yes, yes ... "
Anyway, it's called the "Razor Care System". The thing looks sort of like a shark's head ... just coming out of the water and about to take a bite out of something. Inside the 'mouth,' the packaging promises, "three linearly sequenced, 12,000 gauss neodymium rare earth magnets [that are] aligned with the blades' edges." Well, it "works with any brand of single-, double- or triple-blade razor." The "holder rests on shelf or countertop, or mounts to wall with suction cup." The "razor stores in holder after rinsing until next use. Place on shelf or mount on wall with suction cup." "OK, you're repeating a bit; but aside from all that, what else does it do?" It keeps your blade razor-sharp. "Where does it promise that? "Alf, where did you go to law school?" 1 Trader Vic built his very first restaurant in Emeryville, California. Awkwardly squeezed between Berkeley and Oakland, Emeryville was a neglected place; and never an address about which you could be proud. But, Vic must have liked it, for it was the home of his 'mother' store for many years. It was from here that his Polynesian food empire grew. Bigger and bigger and bigger: ... San Francisco ... New York ... London ... Bangkok ... and, many, many more. Then Vic discovered pyramids for his wines ... [I forget whether it was to 'age' lesser wines faster or to slow down the decline of his better bottles ... but, if the thinking of Michael Jackson is of any value, the latter was probably Vic's goal] ... Whatever, turning his back on conventional bins, Vic moved all of his best bottles into pyramids made of glass and wood. Not long after that the Vic stores started to close or get smaller (admittedly, Vic's own death may have helped). Maybe it was back in April ... Paul will know for sure ... anyway, it was sometime during one of my Thai Airways flights back to Bangkok; and, just after I had finished reading a wonderful little piece about why 'emergency water landings' were totally unsurvivable. I shared it with you. And, being facetious, I suggested that you should reach for the drinks cart ... not your life preserver ... if your Boeing was about to attempt to land on the water. That advice is as true today as was back then! Tyler Durden (played by Brad Pitt) in the movie Fight Club makes a point that I did not consider at the time: that the employment of oxygen masks in nasty mid-air situations1 is not to keep the passengers awake and alert ... to the contrary, it is to make them as "calm as Hindu cows". Yesterday's 'Day-In-History' ... the one on my front page ... carried an item2 that easily illustrates the point I made the other morning: that great historic sites, if they are going to be blown to bits, should be blown to bits with suitable explosives. Though this 'plot' to take out three of America's most cherished icons took place in 1965, let us hope that the planners had black powder in mind. To think of our Statue of Liberty losing her upright arm to a duffle bag of C-41 ... or the Liberty Bell having its crack opened fully with a half stick of TNT ... or the Washington Monument going down because of a Hertz rental filled with psyched up fertilizer ... well, it's all too sad for words. Paper indicated that where Vicky lies is a private burial Ground so it is not normally open to Joe public but indicated there would be open weeks [not wakes] this summer. And, again chiming in helpfully, Andy explains his earlier mysterious reference to "Anna K."
Obviously post Bill American media have got sloppy. It's the Russian Tennis player who models Bras. And also a worm virus which hit net a couple of days ago. 1 Or, as Durden juxtaposes it: "emergency water landings at 600 miles an hour". 1 1965: Four persons were held in a plot to blow up the Statue of Liberty, Liberty Bell and the Washington Monument. It's only been operational for two or three days, but I am already getting some negative 'feedback' from my face. The Sharper Image 'Razor Care System' that I have been using appears to be 'dulling' my blade, not keeping it 'razor-sharp' as promised.1 And, the only instructions that came with it are just those words that were printed on the outside of the box: "... rinse ... store in holder ... place on shelf or mount on wall ..." Nothing more; there was no reference to an Internet site ... no handy 'troubleshooting' guide with useful 'problem' boxes helpfully adjacent to instant-answer 'remedy' boxes. No, none of that sort of thing. I am left with the ad man's puffery on the front of the package. Where he so confidently gloated, "... three linearly sequenced, 12,000-gauss neodymium rare earth magnets are aligned with the blades' edges." I do not know what is a 'gauss'; much less do I know anything about 'neodymium'. Perhaps my little purchase is short on 'gausses' ... my 'neodymium' but a 'fool's' neodymium! 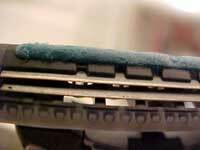 Is that why my Sharper Image 'Razor Care System' is not working? What does my dictionary say about all this? Gauss [from Karl F. Gauss]: the cgs unit of magnetic induction equal to the magnetic flux density that will induce an electromotive force of one one-hundred millionth of a volt in each linear centimeter of a wire moving laterally with a speed of one centimeter per second at right angles to a magnetic flux. Good Lord! 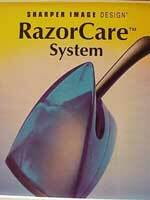 I would need 2,778 of these Razor Care Systems just to induce the force of only one volt. What can a single machine hope to accomplish? As it stands now, this little engine of mine appears to be way underpowered. And, can it be that my neodymium also falls short of its task? Neodymium: a rare yellow metallic element of the rare-earth group � see ELEMENT table. This technical quagmire is getting worse. But, seen living alongside elements with both larger and smaller weights and numbers, my neodymium now doesn't seem all that 'rare'. Perhaps household titanium or copper could have done the job. Maybe a refrigerator magnet would work. 1 The reader is directed back to some awkward questions that I faced the day I first talked about my miracle purchase. Apparently, I read more into the wording on the box than was warranted. 3 Though praseodymium (Pr) has a comparable atomic number (59) and weight (140.9077), it offers little help in sorting through my problem. The only other element with similar specifications, Cerium (Ce) at (58) and (140.12), adds nothing. Looking at the extremes in the table, far distant Neptunium (Np) with a massive 237.0482 in atomic weight and tiny Hydrogen (H) with but 1.0080, serve only as far away bookends.